Madison Pharmacy is your one stop balloon depot. We can fill any order you wish and deliver it on time upon your request. 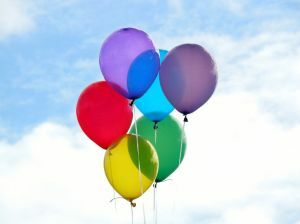 We stock almost any color imaginable of latex balloons and dozens of mylar balloons (standard and oversized). We can also special order any specific mylar balloon you might request. Looking to create a special centerpiece? We have a large selection of weights to create that special centerpiece for your function.